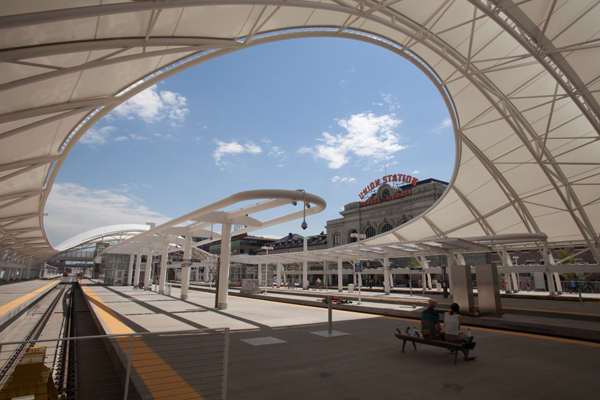 EPS has completed several project assignments on Denver Union Station (DUS) for the City, RTD and DUSPA over the last decade starting with the market analysis and financing strategy components of the DUS Master Plan in 2003. In 2008, we were engaged by the City to assist in the formation of the Denver Union Station Downtown Development Authority. In 2009, EPS conducted a peer market and financial evaluation of the DUS financing plan and TIF forecasts for DUSPA and FTA. In 2011-2012, EPS provided completed development feasibility and market research support on reuse options for the DUS Historic Building and developer selection and negotiation for the building lease. Master Plan – EPS was the economic consultant on the Denver Union Station Alliance team responsible for a market analysis of private retail, office, residential, and hotel uses on the site. EPS was also responsible for identifying funding sources and developing a financing model to compare alternatives and to develop a financing plan and strategy. Financing – DUSPA was created to finance the DUS multimodal transportation hub and TOD. The Authority will issue revenue bonds backed by tax increment revenues together with a TIFIA loan from FTA and RRIF loan from FRA. As a requirement of the federal loan programs, the Authority hired EPS to conduct an agency review and evaluation of the market study and development and revenue forecasts. Economic Impact Study – EPS analyzed the comprehensive economic impacts on the Denver Metro area generated by the $2.1 billion Denver Union Station project, a public-private redevelopment of the historic Denver Union Station into a multi-modal transportation hub. This study was performed in support of the formation of a Downtown Development Authority to provide Tax Increment Financing to the project. Developer Selection and Negotiation – EPS provided development advisory services on the selection of a private developer to complete the renovation of the historic terminal and to operate the building on a longer-term lease. The firm first provided market research and financial feasibility analysis for RTD on the evaluation of reuse options. EPS then assisted in preparing an RFQ/ RFP and the evaluation of developer proposals. RTD selected the Union Station Alliance (USA) to develop and operate the historic terminal building as a boutique hotel and train station under a long term lease. EPS then provided financial analysis and support on the negotiation of the lease agreement. The $50 million rehabilitation and renovation of Denver Union Station which includes the Crawford Hotel and retail and restaurant space was completed in July 2014.